I am guilty of referring to M.U.S.C.L.E. collectors as a community. The word community is probably still the most accurate word to describe all of the grown men that still have an interest in a toy from nearly 30 years, but it’s not really accurate. 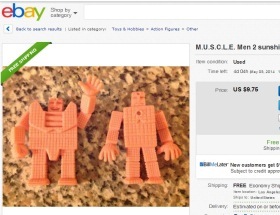 I don’t think there is a word – not one that truly describes M.U.S.C.L.E. collectors as a group. 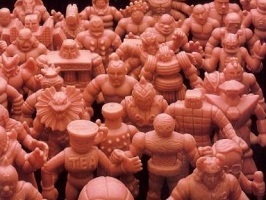 Instead M.U.S.C.L.E. collecting and being a part of the “community” is much more like riding on a bus. People get on and off the bus. The bus is not the only way to get from point A to point B. Collectors can walk, drive, ride a bike, skateboard, or whatever – they don’t need to ride the bus. And the only time that people on the M.U.S.C.L.E. bus care about the bikes or cars is when they crash into the bus. 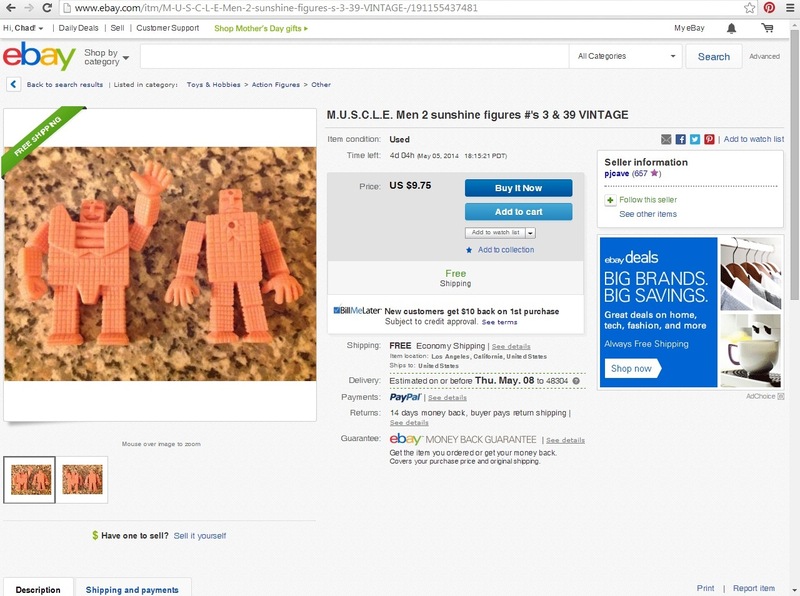 While a M.U.S.C.L.E. collector is on the bus the greatest harmony is when people follow basic decency rules: let the old ladies sit down; don’t eat stinky food; the basics. And sometimes you may even chat with the person next to you. Perhaps a friendship will blossom, but mostly it’s a friendly hello to the guy you always see on your commute to work. 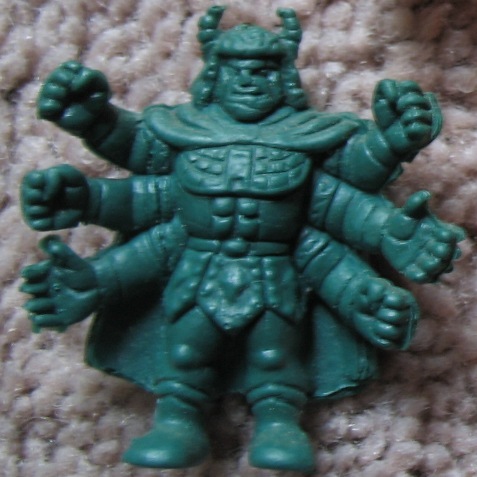 Don’t get me wrong, I love M.U.S.C.L.E. toys and the community (real or imagined). I think each person should try to be as positive of force as possible. But my focus will no longer just be the bus. I want to make sure I’m being cool to the bikes, cars, and whatever else is going from point A to point B on this crazy M.U.S.C.L.E. journey. – I’m not a Cosmix collector, but this was very cool to see. – Where should I take the auction picture? How about this dirty blanket! – Even a tiny warp like this makes me happy. 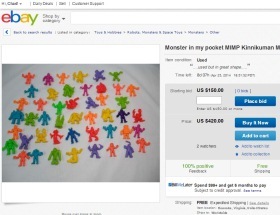 – A classic “Class B” auction. – I dream of a day when my pictures are stolen. 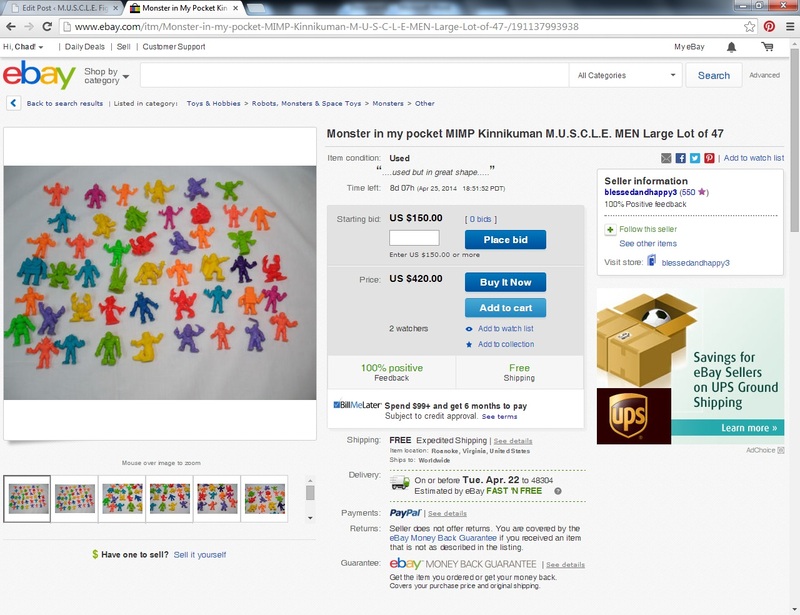 – Is there a way to discover how long this auction has been listed/re-listed? – Ouch. This lot is in rough shape. – This auction makes the 5th Auction from AW #150 look like an all-time steal. – Do the boys get this for Mom for Mother’s Day? – A $0.99 Satan Cross auction with the nice addition of Sunshine figures. – Love the window-box. If I needed it I would consider the $60 price tag. – Fun mixed lot, but why is it at $12.50? This feels like a $5 mixed lot. – This is how you sell a weird mixed lot. – Have you guys noticed MinifiguresXD is posting again? Check it out! – Lot of 88 figures starting at $9.99. – If you’re looking to Clone Wars army build, then this is a great option. – If we all bother Tyler enough, do you think he’ll put some of these online? I also have a bunch of reviews I still to shoot and write. However, don’t wait for me. 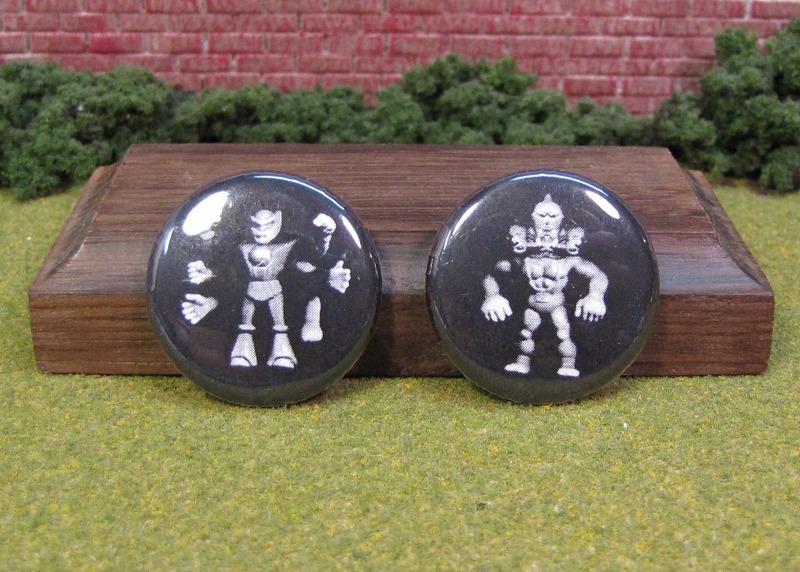 Make sure you’re picking up stuff from Ironhaus, Imperfecz, Eric Nilla, and Metal Monkey Studious. It looks like AOTW #12 is on a bit of a winning streak – but it just snuck by AOTW #13. Will it continue? Let’s find out. Here’s the next AOTW match-up of 2014. Don’t forget to vote in the upper right hand corner. A little Sunshine for $9.75! 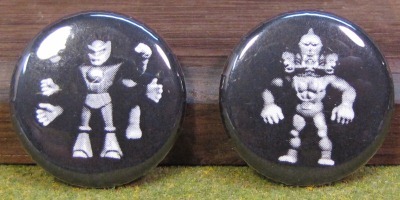 I am dying to tell you guys the story behind these pins to the right, but I’m waiting on the creator for an interview. I feel like I know half the story and I’d rather wait and tell the entire story. I’ve sat on them, and a few other things, for 7 years. Why would I rush it now? This entry was posted on Friday, May 2nd, 2014 and is filed under UofM News. You can follow any responses to this entry through RSS 2.0. You can skip to the end and leave a response. Pinging is currently not allowed.